Shares of US Steel are trading at new July highs today. 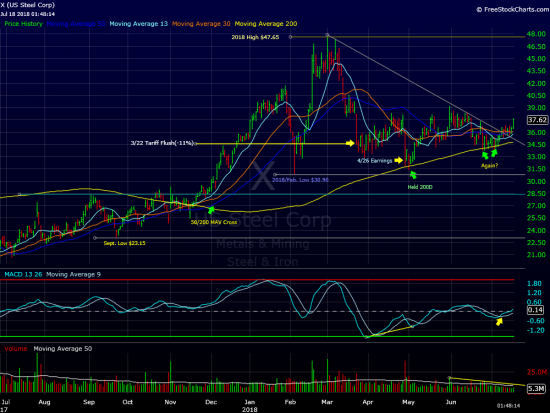 The stock is up over 3%, its best gain in a month, as it extends last week’s(7/10)trendline break. 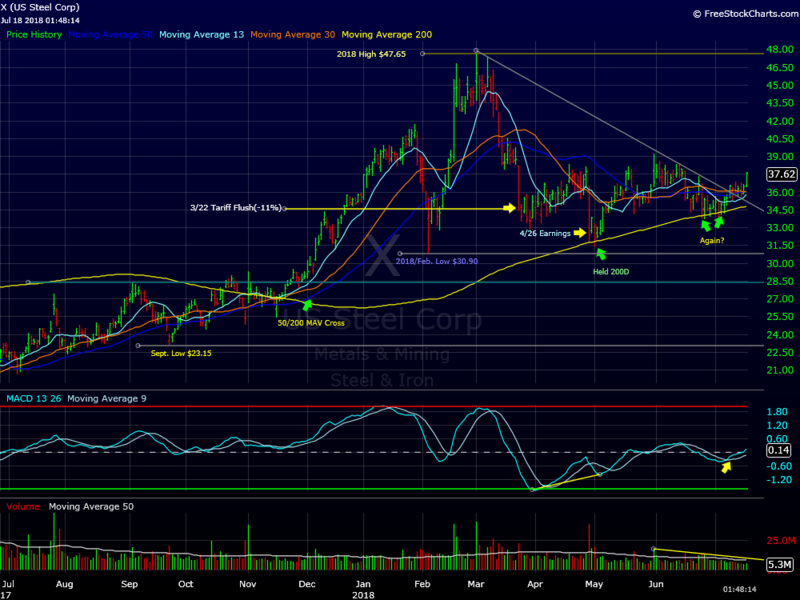 X has a solid base in place near the 200 day moving average, which has held the last four monthly lows. We believe the stock is set up well for more upside ahead of its Aug. 1st earnings report. A close back below $35.00 would violate this week’s low sending a clear warning sign that more basing is on the way. At time of publication we are long X in most managed accounts.